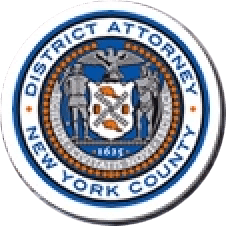 Manhattan District Attorney, Cyrus R. Vance, Jr., today counseled individuals seeking legal assistance with immigration matters to take precautions against scam artists who may attempt to take advantage of victims with incorrect, misleading, or false information, particularly during the delay in President Obama’s executive action on immigration relief programs. As noted by the New York Immigration Coalition, due a federal court order delaying President Obama’s executive action on immigration relief programs, the government will not begin accepting requests for Deferred Action for Parents of Americans and Lawful Permanent Residents and Deferred Action for Childhood Arrivals until later this year. Scam artists, however, may take advantage of the delay to confuse immigrant victims, defraud them, and imperil their ability to stay and work in the U.S.
• Make sure a potential provider or attorney is qualified to handle immigration matters: Only certain lawyers and representatives accredited by the Board of Immigration Appeals (BIA) can provide representation, legal advice, and assistance with immigration matters, and anyone providing immigration services must also comply with strict rules governing contracts and advertising. • Do not sign blank documents or paperwork that has not been fully explained. • Obtain a written contract detailing the fees and services to be provided, and ask for written receipts for any funds paid. If possible, pay for service with checks or money orders, which are more secure forms of payment than cash. • Make and maintain copies of all forms and documents sent and received for services. People and business who are NOT authorized to provide legal advice concerning immigration matters include immigration consultants, travel agencies, notary publics, and tax preparation business. If an individual feels that he or she may have been the victim of a scam, he or she is encouraged to call the Immigrant Affairs Unit hotline at 212-335-3600. Recent immigration fraud cases prosecuted by the District Attorney’s Office include Martin Mannert, who pleaded guilty to Scheme to Defraud in the First Degree and Prohibited Conduct by an Immigration Assistance Service for falsely representing himself as someone qualified to assist with applications for benefits such as work authorization and stealing thousands of dollars from his victims, as well as Jorge Molina, who also stole thousands of dollars from victims who were falsely told that the defendant could help them gain immigration status to the U.S.